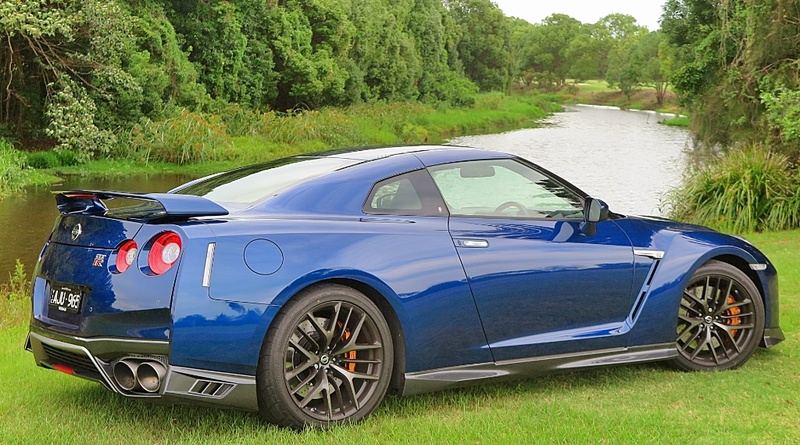 drivingandlife: NISSAN GT-R - FURIOUSLY FAST? YESSIR! Just over 25 years ago a Nissan GT-R, a car descended from the famous Prince Skyline bloodline (see following post), defeated all comers in the world famous 1000km production car race at Bathurst, and an indelible image was permanently embedded. The car was nicknamed 'GODZILLA' after the Japanse monster movie of the same name. The original car, turbocharged, with all-wheel-drive, was the R32. 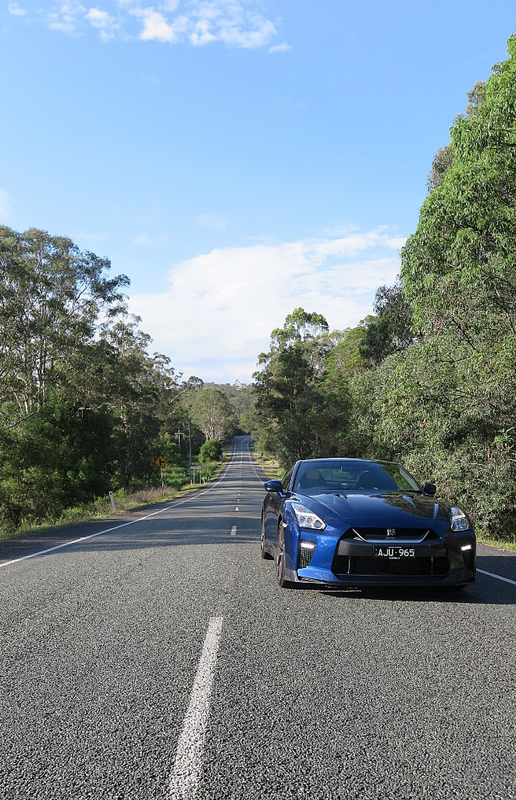 However, the GT-R’s fame was not only based on winning some obscure race across an Australian mountain top – it also conquered the Nurburgring – the holy grail of performance car testing. In 2015 NISMO factory racer Michael Krumm lapped the Nordschleife in 3.46.90! 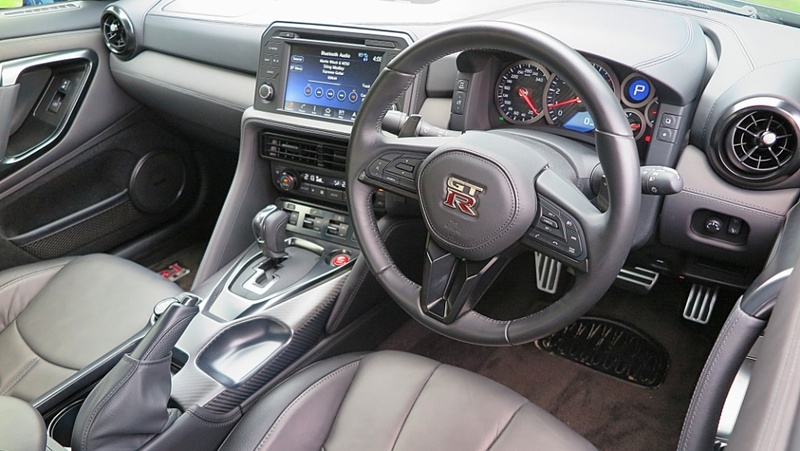 The Nissan GT-R has gone through numerous styling changes, interior affectations, and spec differences, but in its 2017 R-35 iteration it still comes across as an ‘obakemono’ – a ‘monster’. Quite frankly, it still looks pretty scary. Flairs, wings, wide wheels and big tyres, with badges that hint at something sinister within. But, is the R35 the real thing? It’s bloody quick – and also bloody terrifying to hang on to at speed. 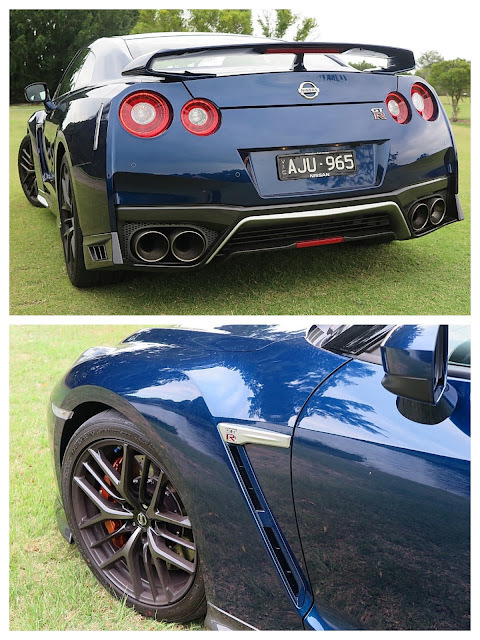 Having said that, this latest GT-R (at AUD$190,00) is a bit Walter Mitty. For readers not as old as me, a contemporary simile might be that it’s very ‘Jekyll & Hyde’. Driving it in speed limited conditions near my home, it’s comfortable, rides well and even when the most aggressive ‘sports suspension’ settings are employed it won’t loosen the fillings in your teeth. My good friend Paul Gover tells me that the ride quality of the previous model (regardless of the user-selected settings) was so bad there was a rush on Medicare for attention to krapped-out kidneys! So what about unleashing the beast when conditions allow? That’s when the 2017 version drops the gentle smile, and takes on its hard-edged game face. The GT-R’s credentials for max performance are impressive. When I first sighted the GT-R, my immediate reaction was that it was too obvious, unsubtle, garish and much more ‘Fast & Furious’ than any resemblance to a sophisticated Euro speedster like the Porsche 911. Yes, I’m a snob when it comes to elegant design and understated presence. So, would I consider buying a Nissan GT-R? No. However, after reading the detailed description of the engineering and mechanical integrity built into this Japanese performance machine, I am certainly very impressed with the depth of both the engineering, and the individual specification of engine parts and transmission solutions. The GT-R may not look or feel like a Porsche, but then again, the justification for its existence shares many aspects of the Porsche traditions. 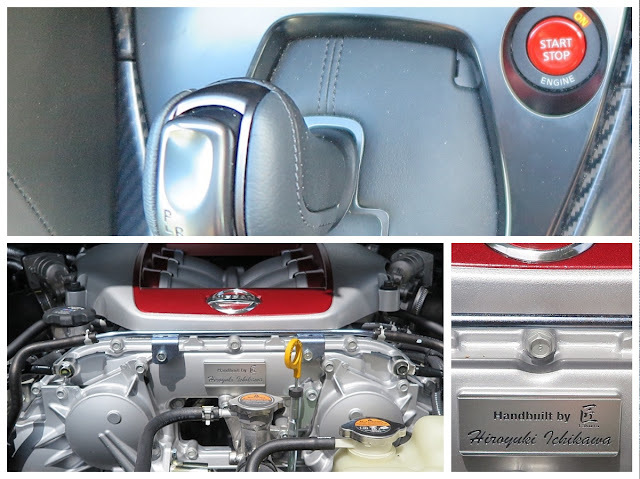 Each engine is hand-built by a single technician, ‘Takumi’ (or Master with the Greatest Skill) and a plate with his name is affixed to the front of the 3.8L twin turbo V6. The unique twin tailshaft design is a pragmatically-clever way to transfer power to all four wheels. 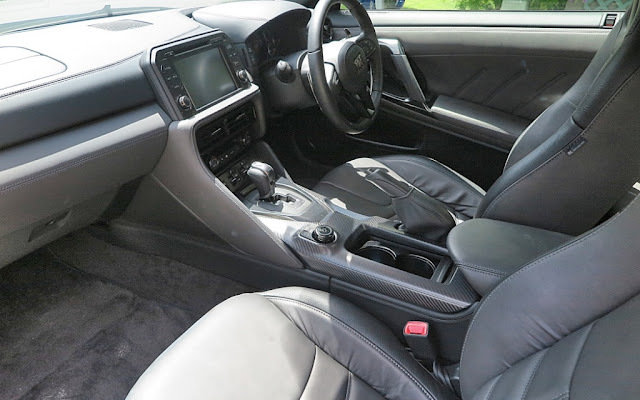 The independent, rear transaxle and transfer case for the AWD is a world first, and it has a much smoother six-speed sequential dual clutch transmission designed by BorgWarner. There are a couple of observations though. From time to time the mostly super-smooth DCT transmission ‘snatches’, or gets caught in the wrong gear for the circumstances; the turning circle is akin to turning a cruise ship around; and because it’s such a heavy projectile, stopping it quickly from very high speed can create lots of of drama! 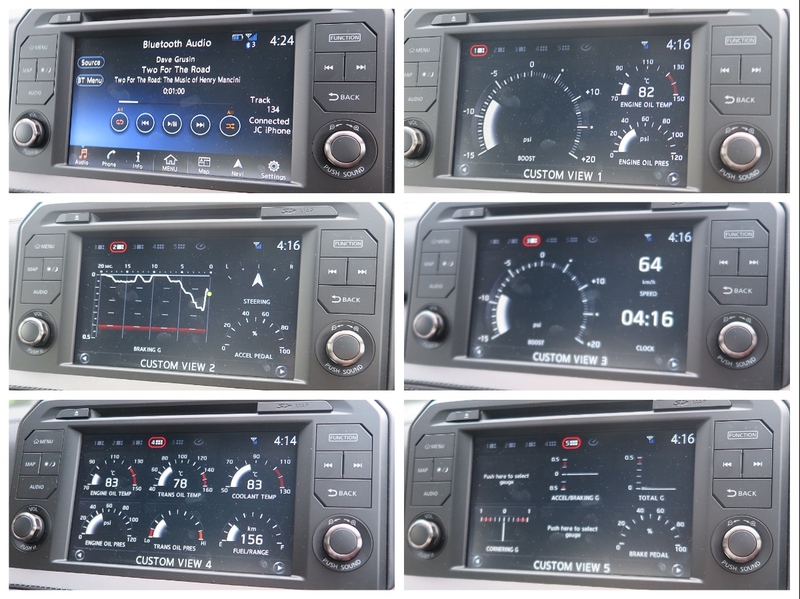 I’m not sure about daily need for the multi-view screen. I’m sure it’s worthwhile on the Nismo race version, but in general – it’s flim-flam. It may be entertaining, but it's also distracting! However, buried in the tech details there are two a very important items in the engineering mix for me. Two things which demand respect, and confirm the integrity of purpose Nissan has invested in this car. Nissan, like a number of carmakers recently, has begun using high-strength adhesives in conjunction with spot welding, to strengthen inner skins, and overall torsional rigidity. Nissan says this has been mainly aimed at increasing structural stiffness to aid turn-in and make steering more precise. It works. In the past this level of rigidity was usually delivered via seam-welding, but adhesives have the benefit of minimising excess weight, while still delivering outstanding bonding strength. The second refers to the cylinder liners – there aren’t any! 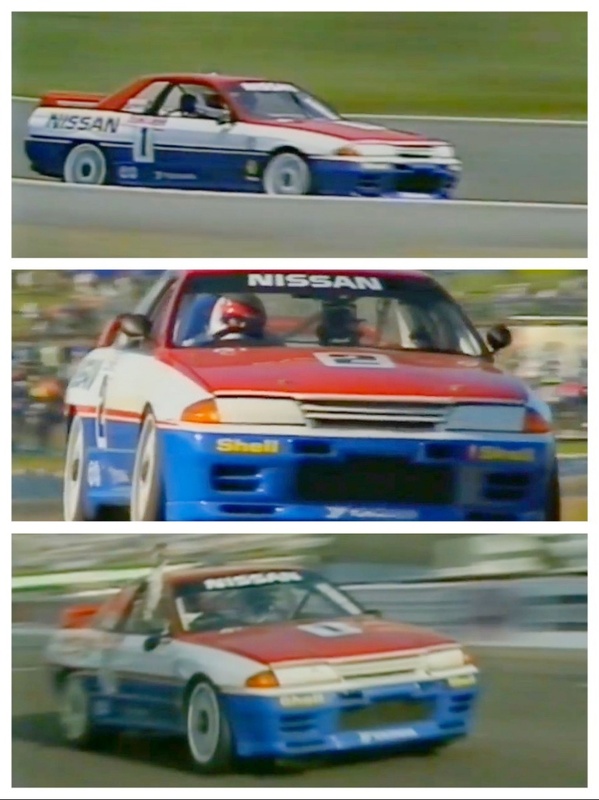 Nissan uses a technology developed by Ford, back in 1991! To save weight, reduce friction, aid cooling and efficiency Nissan does not use metal liners ‘sweated’ into the bores. Instead it uses an argon-hydrogen plasma arc process which blows a hot metal mixture onto the rough surface, then the surface is honed. The interesting thing about both these items are they are totally invisible to an owner, and they probably wouldn't be impressed by it. I certainly am! In terms of a buyer profile, I think Vin Diesel's just the man. The GT-R is rough, rorty, tough, fast, and the design aesthetic is - well, the nicest you could say is 'obvious'. Maybe it's for someone with no aspirations to own a European, like a Porsche - someone who grew up with hotted-up Honda Civics, or maybe a Triple S Datsun Bluebird with a turbo hanging off it. 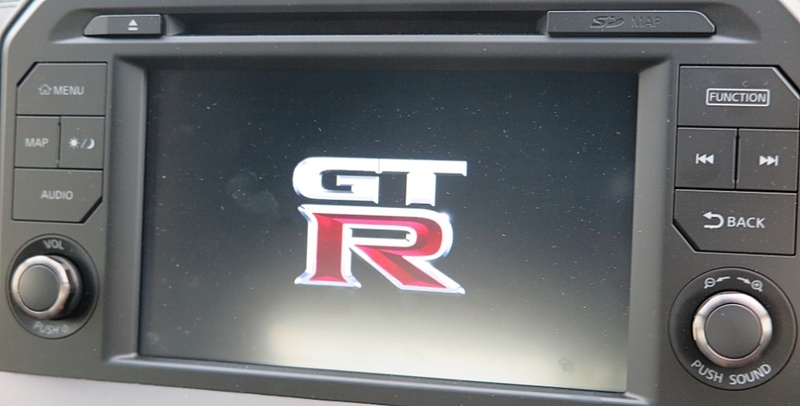 That’s probably unfair to the GT-R, because it is the genuine article, and it’s way cheaper than anything from Europe with a reputation and racing pedigree. It was an interesting opportunity to sample something completely different, but no thanks. The Nissan GT-R's ideal habitat is endless miles of open road, with no speed restrictions, no cops, or fun police - plus of course a bottomless pit of cash for the premium gas! I have neither the driving skill, finesse or opportunity to exploit that ideal recipe, so I'll stick with my Alfa Romeo.